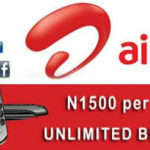 It is no longer news that Airtel is one of the telecommunication company in Nigeria with a broad bandwidth. 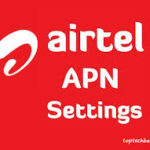 We would be looking at Airtel Data Plan 100 For all Android Devices as we know the strength and speed of the internet service provided by Airtel can not be underestimated. This has made it possible for lots of internet users to depend on the network for accessing the internet. 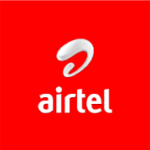 In this piece, we intend to reveal all Airtel data plans that are compatible with Android phones with their validity, data cap and price. There is a daily data subscription for 30MB data cap for N100. You may subscribe by dialing *410#. There is a data subscription of 100MB for N200 only valid 3 days. To enjoy this data subscription, kindly dial *412#. You may as well enjoy 80MB valid for 7 days at N300 only. To enjoy this subscription, please dial *417#. Also, there is a biweekly data subscription at the rate of N500 for 750MB. Please dial *418# to subscribe. Apart from the above listed data subscription, the data subscriptions that remains are valid for 30 days and are compatible with Android mobile phones. At the rate N1000, you will be credited with 1.5GB worth of data when you dial *496#. It is valid for 30 days. For 3.5GB worth of data valid for 30 days, please dial *437# at the rate N2000 only. 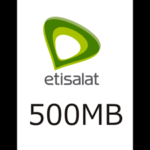 You can also get 5GB at the rate of N2500. This is also valid for 30days. To enjoy this, dial *437*1#. I think I will rather go for this compared to the previous one. 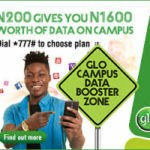 How about 7GB worth of data for just N3,500? It is valid for 30 days as well. Dial *438# to enjoy this. Here is another option you will love to go for, its 9GB for N4,000 only. This plan is valid for 30 days. You may subscribe by dialing *438*1#. 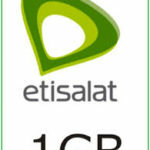 Here is another impressive data plan at N5000 for 12GB worth of data. Please dial *452# to enjoy this data plan with 30 days validity. Finally, here is massive data plan at a meager amount. For a 24GB worth of data charged at the rate of N8000. Validity remains 30 days. Please dial *460# to subscribe. For people who are productive at night or people who only the weekend to surf the internet, night plans and weekend plans may be a good option for you. They are compatible with Android Mobile phones as well. There is a weekend bundle for N200 which will give you 200MB. It is usable between 12am on Saturday and 11:59pm on Sunday. To enjoy this plan, kindly dial *472#. Also, there is another weekend bundle for N500 which give you 500MB worth of data. It can be used between 12am on Saturday and 11:59pm on Sunday. Dial *473# to subscribe. 30 minutes of unlimited internet access at the rate of N300. You may subscribe by dialing *439*3#. 60 minutes of unlimited internet access at the rate of N500. You may subscribe by dialing *439*4#. 120 minutes of unlimited internet access for just N1000. To enjoy this offer, kindly dial *481*2#. I mistaken loaded data for BB instead of Andriod phone. How do I migrate to Android data plan.